Here’s to the new and improved healthier state of mind! Bursting with lots of delicious foods that are big on taste and still easy on the waist with a slight dab of indulgence. 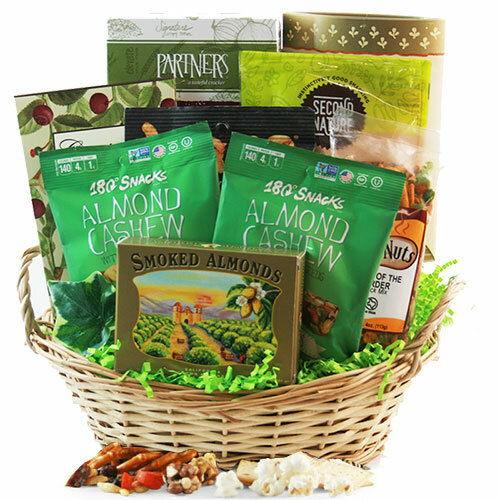 They’ll enjoy gluten free crackers, roasted almonds, assorted dried fruits, and other tasty delicacies.